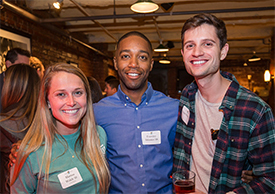 Alumni chapters and groups provide Seahawks with the ability to connect with fellow alumni through a range of programs events, from networking opportunities to social activities. To get involved, view the chapter in your area or that represents your affinity group, below. Don't miss these incredible opportunities to connect with Seahawks around the world! Join fellow participants to share your experiences, exchange career tips and build your professional network — all online! Connect with alumni around the world from the convenience of your computer, tablet or smartphone. Share career advice and job opportunities, or build personal and professional networks. Virtual event participants can view their conversation transcripts, post their LinkedIn profiles and upload résumés. A community for UNCW alumni to connect with each other and enjoy books related to business, communications, leadership, productivity and more. Participation is free and exclusive to UNCW alumni. 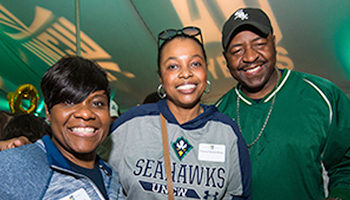 Connect with fellow alumni and show your Seahawk pride by sharing your photos and stories. Tag us for a chance to be featured on our main social pages. Recently been married, had a child, earned a promotion, started a new job or celebrated another accomplishment? 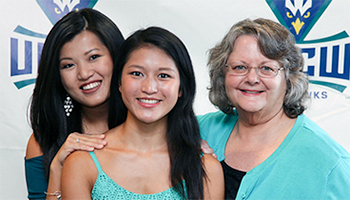 Share your news for possible inclusion in the UNCW Magazine and on social media. 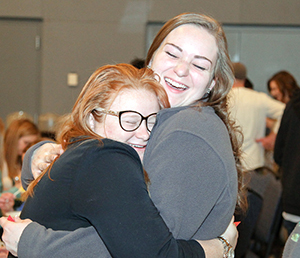 Don't miss out on exclusive benefits such as the UNCW magazine and alumni e-newsletter, or invitations to in-person and virtual networking events.